On 25/10/2016, State Bank of India (SBI) announced recruitment notification to recruit Senior Vice President. 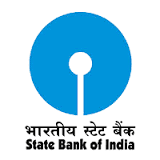 Through this recruitment notification, State Bank of India (SBI) plans to recruit B.Tech, CA, MBA candidates for the post of Senior Vice President. State Bank of India (SBI) is planning to recruit candidates for the post of Senior Vice President. Interested and eligible candidates can apply before 10/11/2016. 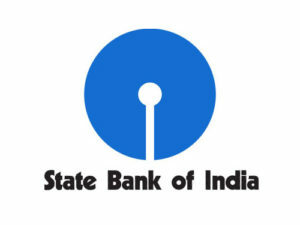 State Bank of India (SBI) proposes to receive the application from applicants in Online Mode. Eligible candidates can submit their application to State Bank of India (SBI) before 10/11/2016. All those aspiring to apply can check out various information like eligibility criteria, salary, Total vacancy, Selection Procedure, Job description, last date, Application procedure and other key information required for the post below. Kindly go through all the below details before submitting your application Online. Candidates can Get the Senior Vice President Post details such as Job Description, Number of vacancy, Qualification, Age limit, Eligibility and etc., from the table given below. Education required: MBA (Marketing) with Finance as one of the subjects or MBA (Finance) with Marketing as one of the subjects or MBA (Dual specialization in Finance & Marketing) Candidates with BE/ B. Tech/ C. A. degrees will be Preferred. Pay Scale: The compensation package would comprise of fixed and variable components but not a limiting factor for a suitable candidate. Application Fee For The Job: APPLICATION FEE (Non Refundable): Rs. 600/- (Rupees six hundred only) Application Fee once paid will NOT be refunded on any account nor can it be held in reserve for any other examination or selection. Selection Will be Based on /either Written Test / Personnel Interview / Other Mode by the State Bank of India (SBI) norms or decision . Interested and eligible Candidates are requested to apply online from 25/10/2016 to 10/11/2016. Candidates should go through the online application process carefully and then submit the application online. 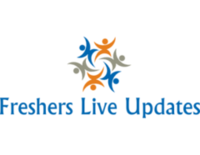 To know more about the detailed information such as Application process, Eligibility criteria , Age limit, Salary, Priority, Relaxation and other relevant information kindly click the given link below.